Sea-buckthorn Oil is reach in amino acids, mineral and vitamins. It is highly valued for its regenerative, antibacterial, analgesic and anti-inflammatory properties. Sea-buckthorn is used for reducing the symptoms of atherosclerosis, skin problems, such as burns, eczema, acne, wounds, ulcers, bedsores; stomach ulcers. 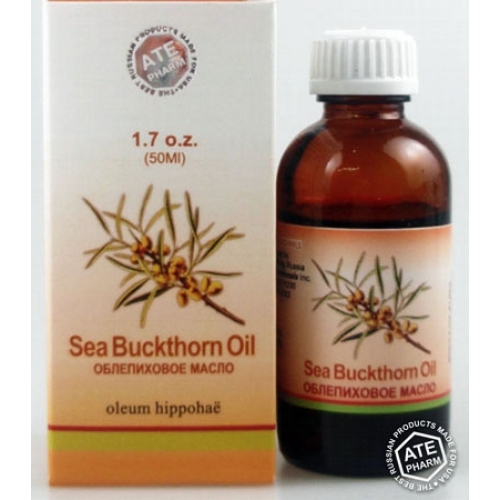 Sea-buckhorn Oil is used in inhalations for upper airways disorders. The oil boosts immune system, improves digestion and increases hair growth. This oil is of great value for fading skin, reduces wrinkles, freckles, pigmentation; nourishes and softens dry skin. The product is 100% natural and is made from the best herbs without dyes, additives and preservatives.